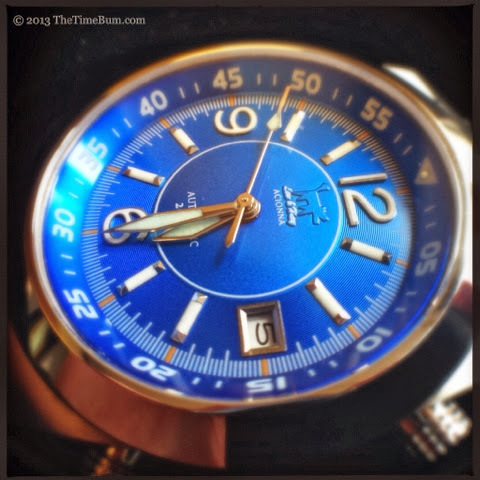 Chris was kind enough to provide a blue dial prototype for evaluation. 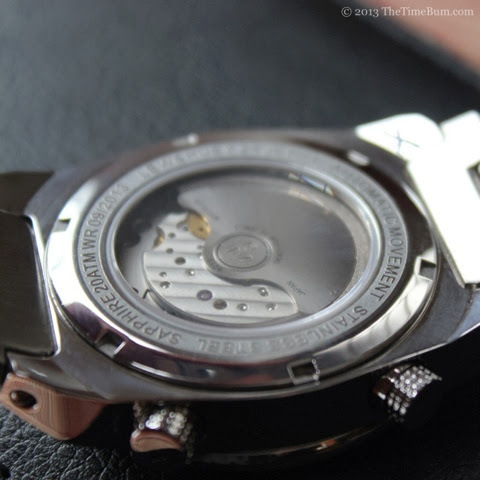 Time Bum readers will recall that I recently reviewed a Riccardo, and was duly impressed. I cannot review a pre-production prototype in the same way I would a final production unit, but even with this handicap I believe the Acionna is a step beyond Lew & Huey's debut model. 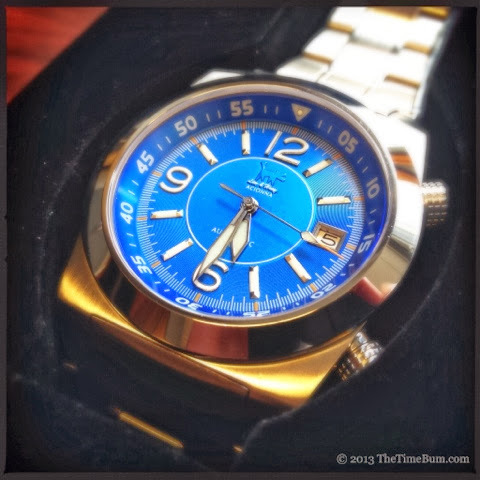 Acionna was a Gallo-Roman water goddess, so one would expect her namesake watch to be both beautiful and dive worthy. She would not be disappointed by the Lew & Huey. 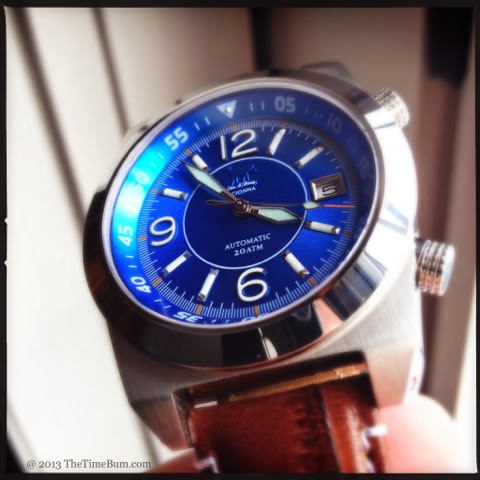 Inspired by a drawing submitted by Watchuseek member Bill Cunningham, the Acionna is first and foremost a diver in the classic style most often associated with the Jaeger LeCoultre and Longines Super Compressor models, consisting of an internal dive bezel and two knurled cylindrical crowns at 2:00 and 4:00 for the operation of the bezel and hands. Sword hands and oversize numerals also lend a bit of pilot watch style. Chris describes it as being a bit of both. 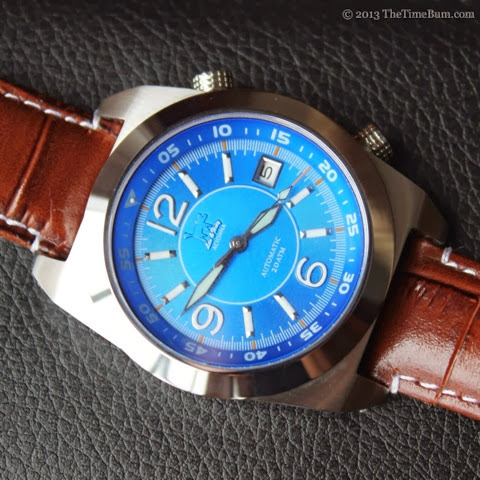 The Acionna's case is stainless steel and rated for 200m water resistance. Its 40mm diameter is deceptive, so much so that I had to double check the specs because I simply did not believe it was really that small. There are several elements that make it appear much larger, notably the cushion shape, 12mm thick case, and chunky lugs. It is an understatement to say that it looks bigger than my other 40-42mm watches, it looks like it could beat them up and take their lunch money. Not that it wouldn't look good doing it. 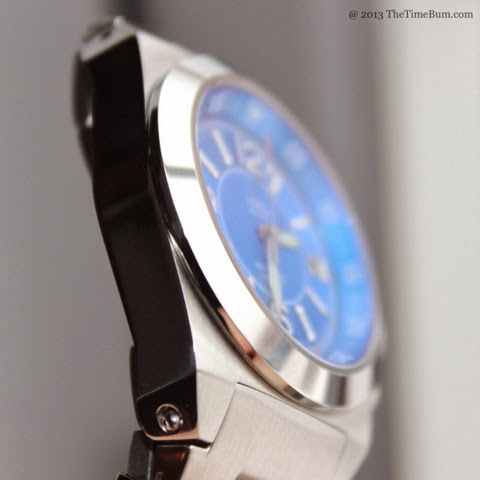 The case has a brushed finish on top, with a large polished bezel. Case sides are polished on the prototype but this element may change on the production model. 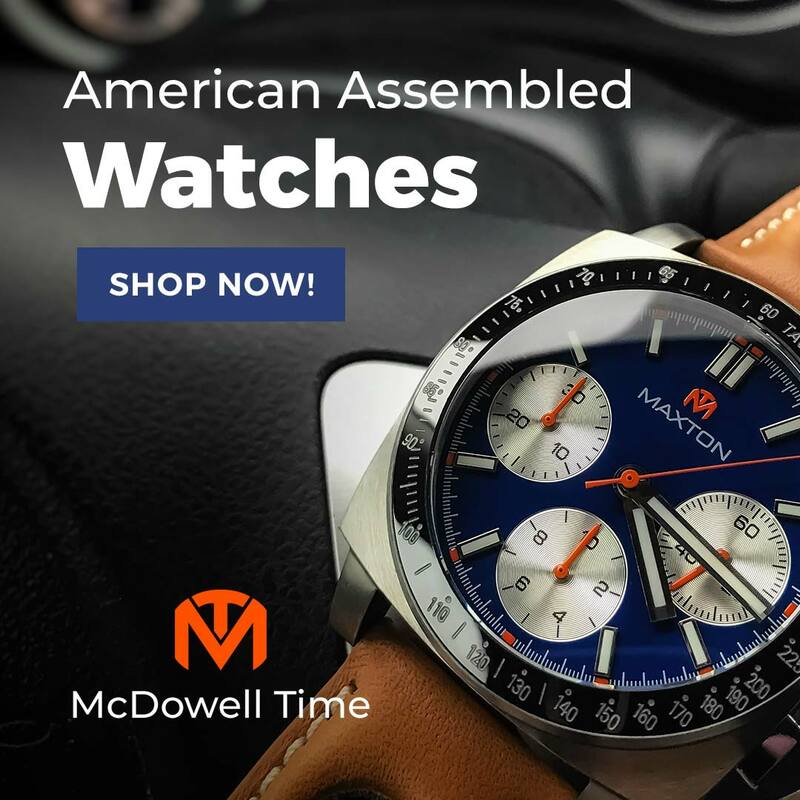 I find this combination of finishes to be particularly attractive on larger watches like the Acionna that can display the contrast to its best effect. The lug design is one of the defining elements of this watch. They are sharply angled inward and downward, hugging the wrist, and drilled to expose the bracelet screws. Acionna may have an athletic build, but she also has a pretty face. The internal bezel plunges down to an expansive dial. Both are a stunning bright blue marked in white. Orange accents decorate the chapter ring and second hand. Large Arabic numerals mark 12, 6, and 9, and a date window occupies the 3:00 position. The hands and numerals are polished and painted with lume while the applied markers are lume-filled tubes, resulting in outstanding green illumination, a vast improvement over one of the Riccardo's weak points. The outer section of the dial is ridged with concentric rings, similar to the texture on the Riccardo's sub dials. The Lew & Huey dog, the source of so much controversy on the Riccardo, is more subdued on the Acionna, appearing as a raised element the same color as the dial. Text is printed in white and consists of the "Lew & Huey" script (which is raised but smaller than on the Riccardo), "Acionna" printed below, with "automatic" and "20 ATM" in the lower half. The raised monochrome logo and subtlety of the text is clean and sophisticated. Turning the watch over reveals an engraved ring, sapphire window and the Miyota calibre 9015, 24 jewel automatic within. As I have mentioned in other reviews on this site, the 9015 is a quality movement, intended to be an alternative to the ETA 2892. It is a hacking and hand winding unit that beats at 28.8 vibrations per hour and has a 42 hour power reserve. 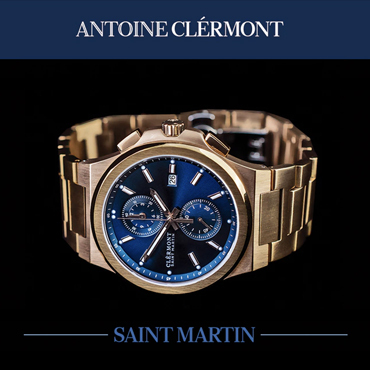 The watch comes with both a bracelet and leather strap. The bracelet is brushed and polished with solid ends and screwed links, and a brown glossy crocodile grain strap with contrasting white stitching and a polished and engraved butterfly deploying clasp. I tend to wear my bracelets tight, and the prototype bracelet proved a bit too large for my 6.5" wrist, even with all links removed, but this will be remedied in the production version. It is well made and reassuringly heavy. It also looked perfect on the watch, reinforcing the solid, purposeful look. The engraved clasp is the locking diver style that will be familiar to Seiko Monster owners. The strap is quite supple and overall, an improvement over the Riccardo's. 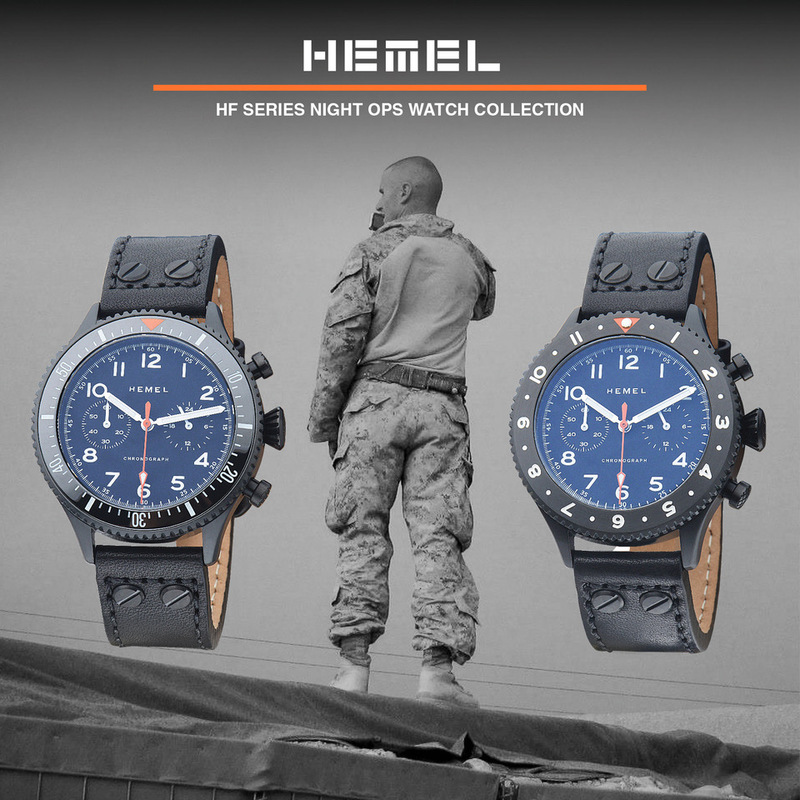 When fitted, it emphasizes the aviation aspect of the watch. I usually prefer straps over bracelets, but this watch is the rare exception. With just 20mm between those fat lugs on the muscular case, the strap looks a touch too slim. It is not that the strap looks bad, the bracelet just looks better. Whichever you prefer, strap or bracelet, you will have to work with a tube secured with a tiny screw. This is by far, my least favorite attachment mechanism. The Time Bum is notoriously mechanically inept. There is no screw I cannot drop, strip, or otherwise ruin. Once I had figured things out, I was able to remove and replace the tubes with minimal effort, but given my druthers, I'll take a spring bar any day. The Acionna is a fascinating interplay of contrasting design elements that form a cohesive and very attractive unit. It is pretty, but decidedly masculine. 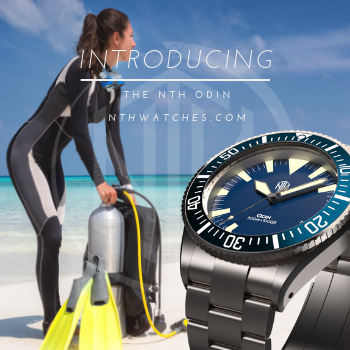 It incorporates elements of both a pilot watch and dive watch. It is a reasonable size with tremendous presence. 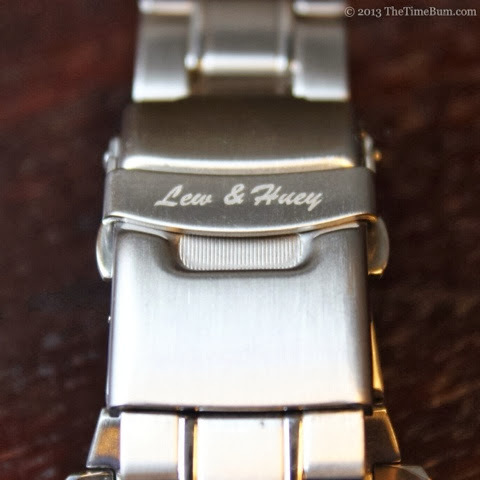 This is a risky, sophisticated design that makes me eager to see what Lew & Huey might do next.